Did you know that God is an artisan? Even more importantly, did you know that you are one of his masterpieces? 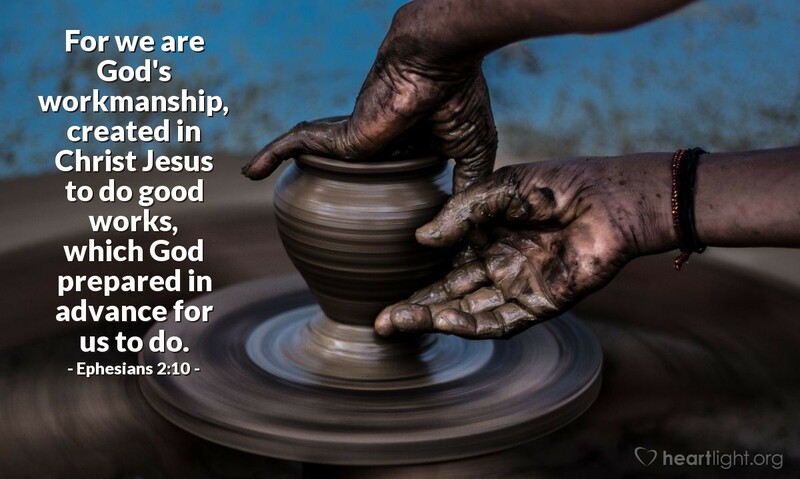 God has designed us to be beautifully useful for doing good things! So let's not let anyone, especially not the evil one, convince us that we are not worth anything to others or to God. His grace has made our lives canvases upon which he will provide the world more masterpiece works of his artistry! Let's live up to God's high opinion of us. Thank you, dear Father, for knowing me and re-making me by your grace in Jesus. Use me to do your will and lead me to the appropriate people so that I can most effectively minister to them. In Jesus' grace-filled name I pray. Amen.